When you do interviews or record group discussions (perhaps for later transcription), you sometimes want to cut off a bit at the beginning or the end (or even in the middle, perhaps when your interview partner gets a phone call and you didn’t pause the recorder). Or you want to combine two parts of an interview with the same person into one single audio file (e.g. when you did press the button on your recorder when that phone call came – only you pressed ‘stop’ instead of ‘pause’ ). 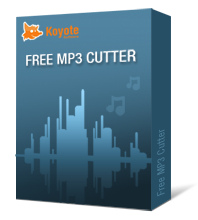 To do this in a quick and uncomplicated way, I use two freeware programs: Easy Mp3 Ogg Wma Wav Cutter and Make it One MP3 album maker. The former lets you cut your audio file (guess which formats! – you guessed right, but on top of those, also .avi and .wma are supported) into pieces and save them as .wav, .mp3, .ogg, or .wma. The original file remains untouched. The latter can take the pieces of your various interviews that you produced by randomly defining cut points in Easy *** Cutter and reassemble them in whatever order you like. Even no order at all. — Now here are the tools for some cwazy art project! The combining of audio files, however, only works with mp3 files. So if you use another format, you need to convert them first. I just did this with two wma files using the above mentioned Easy *** Cutter since I couldn’t be bothered to search and install a converter. However, that went at the cost of having to cut a fraction of a second off the original recording in order to make the program believe that it was actually used for its intended purpose. Psst, don’t tell!